Do not be afraid by 370 pages of text and 100 pages of notes and annexes, the author (and editor) respect their readers with the typography, paper quality and cover (this is becoming rare …), and introductions to each chapter, which bring together the main topics. In short, this is a book that can be read easily and with gret interest, not only a historical and sociological analysis but also a remarkable economic summary of China today. There has been no industrial revolution in China in the European sense, but the imperial factories, rural workshops, large trade flows were basis for development that will provide scholars with the opportunity to organize partnerships. The state impact on the economy is only marginal and it is not known how to provide a legal framework for a flourishing economy. Companies are organized on a family basis and magnificent mansions serving as the backdrop for well-known movies show us the power of the merchant families both in Anhui (Huizhou) that in Shanxi (Pingyao). The European powers forced the opening of the country.The reaction came not from the central government but from province governors who were developing military industries and joint ventures “supervised by mandarins and managed by merchants”. The state is weakened by the Westerners and the popular revolts and it is this weakness that explains the failure of this first major attempt to modernize. After the establishment of the Republic in China, the First World War is a powerful stimulus for growth and allows the development of large companies and a golden age until the coup by Chiang Kai-shek in 1927. This period in Shanghai is well described by “Midnight”, the great novel published in 1933 by Mao Dun, but what the writer does not show is the development by the Nanjing regime (1927-1937) of a public sector that strictly regulates private economy and develops heavy industries in the unoccupied zones and controls the banks. The Japanese occupation leads to a sharp decline: destructions, a war economy .. Soon after the Japanese surrender, comes the civil war and hyperinflation that disrupts the entire economic life. The corruption of the people around Chiang Kai-shek, the looting of banks, the failure of the privatization of businesses taken over from the Japanese or their supporters, all this leads to a lack of cooperation between the capitalists and the Nationalist regime. Another breakdown that lasted six years until the nationalization of 1956. The Communist Party wants first to reassure with a policy of “united front” that tries to bring on their side the “national capitalists”.The beginning of the Korean War, then the boost of the Revolutionary Movement (“Five Anti” in 1952) marked the end of the political influence of the bourgeoisie, although many “red capitalists”receive their previous salary and compensation for their assets (300,000 persons in 1966 with 90,000 in Shanghai). 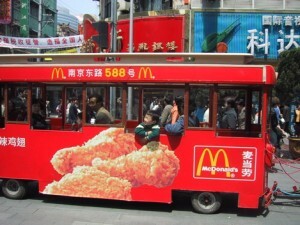 Small entrepreneurs often became outcasts and the Cultural Revolution (1966-1976) sweeps all. The first decade of reforms saw the construction of a mixed economy, the rural decollectivization, the creation of special economic zones for foreign capital and overseas Chinese. The 1992 trip of Deng in the South is followed by the approval of the concept of “socialist market economy”. This liberalization started with the South and light industry and concerned only much later heavy industry in the Northeast and big cities. ” In Chinese companies nowdays can be found the of use of family support, a networking organization, with close relations with the political power and other characteristics of businesses at the end of the empire or of the Republican golden age. “(p.254). This is one of the newer topics. The author tries to identify the main features of these new entrepreneurs who are often managers who base their legitimacy not on ownership but on competence. Their development reflects “the will of a Party-State in order to catch up economically and strengthen national economy, to favor the creation of a capitalist class by converting the old bureaucratic elite” (p.229). One may argue that the role of entrepreneurs returned from their studies abroad is underestimated as well as the position in the business of services and especially the exponential growth of Internet and the corresponding enterprises. But we will agree with the author when she writes (p.312) “the return of entrepreneurs is not the return of capitalists or the bourgeois ” in short, it is a “capitalism without capitalists” dominated by the state and its elites. The party opened its ranks to private capitalists, the same goes in local government and civil service. Finally there are interesting developments on the”Wenzhou” capitalism and their professional organizations, closed but very dynamic, that export in the garment and leather business into the Paris of the “Arts et Metiers” and “Belleville”. 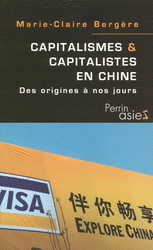 ► Marie-Claire Bergere, “Capitalism and Capitalists in China – From the origins to today.” Ed Perrin 2007, 21.5 €.